Let’s get right down to business: age spots! It seems like one day, we wake up, look in the mirror, and suddenly, they’re there. Age spots come in all shapes and sizes, and they seemingly appear overnight! Not wearing sunblock and sunscreen leaves our skin susceptible to harmful radiation and UV rays over the years. The damage finally catches up to us causing dryer and less hydrated skin. But it’s not too late! There are ways to nourish your skin and fight against unwanted imperfections. Follow our top tips so you can treat age spots from the comfort of your home. 1. 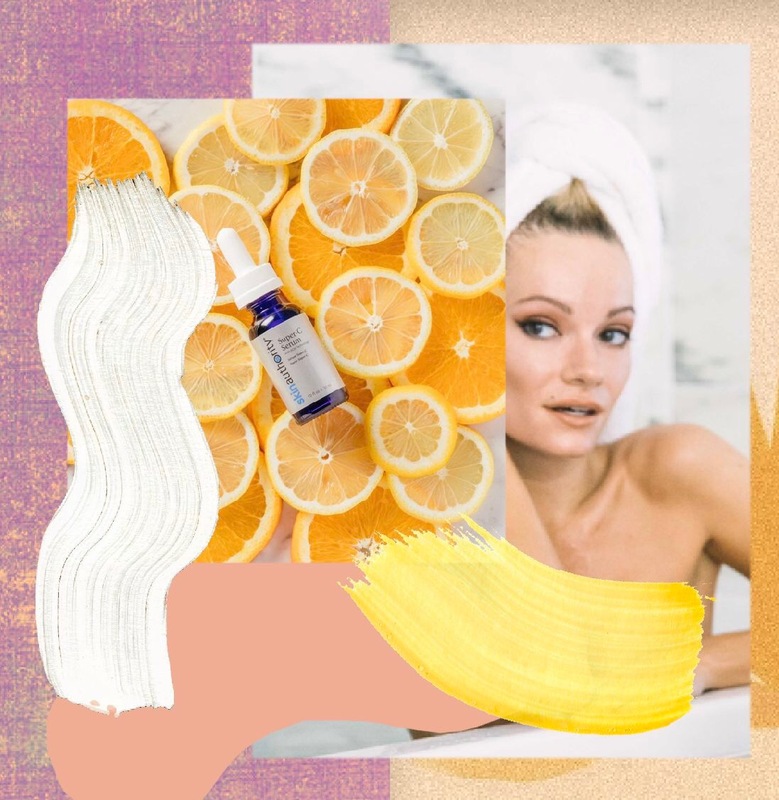 Topical Vitamin C. Sun protection continues to be critical to maintaining hydrated, plump skin. Creams with hyaluronic acid and antioxidant serums with vitamin C are essential to reducing the appearance of any blemishes. Our Super- C Serum contains L-Ascorbic Acid, the body’s natural source of C, which studies tout as being one of the most effective anti-aging ingredients on the market. The Skin Authority Super- C Serum combines vital Vitamin C and super antioxidants that are the key to a smooth, dewy complexion. This effective formula helps fades discoloration and fine lines to improve skin firmness, tone, and brightness. 2. Exfoliate. One of the most important steps to getting rid of age spots is exfoliation. Our Resurfacing Accelerator promotes cell turnover with the ingredient, Alpha Hydroxy Acid (AHA), derived from sugar cane to gently uncover a smooth, fresh, new complexion. This leave-on exfoliator helps transform the appearance of skin in one easy step! Unlike other exfoliators on the market, which cause skin to peel or dry out, our Fear Free™ technology dissolves skin like sugar in water. With continued use, the Resurfacing Accelerator transforms the look of skin tone and texture without dryness, irritation, or undue stress, so even the most sensitive skin can use it. 3. Incorporate Retinol. As we age, sun damages the pigment of the skin, and more obvious age spots and discoloration appear. Retinol increases cell turnover, which begins the process of removing the pigmented cells. Product with retinol, like our VitaD Fortified ™ Topical Elixir will help to prevent brown spots. The multi-action, lightweight formula incorporates Retinol for brighter, luminous skin. 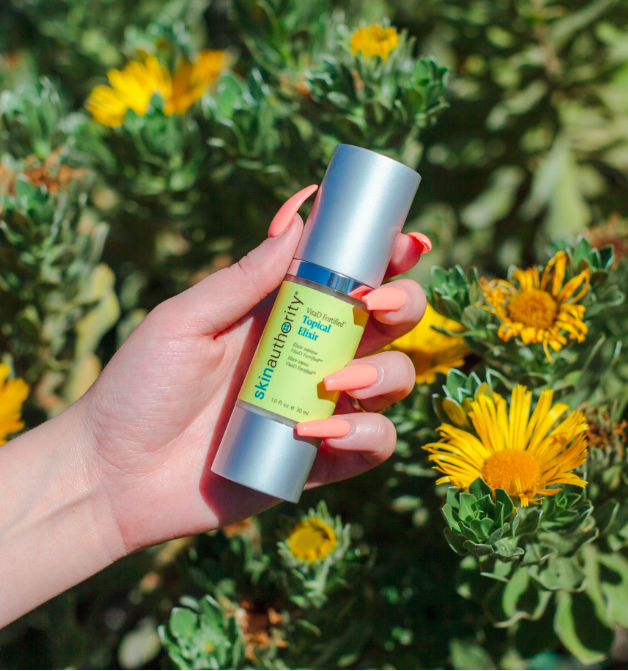 The VitaD Fortified ™ Topical Elixir is also infused with Vitamin D, A, E, and K that provides antioxidant protection against environmental aggressors so your skin is blemish free. If you’re looking to get rid of brown spots without going under the knife, these topical suggestions are the perfect solution to diminish imperfections. As always, use a combination of sunscreen and antioxidants to combat UV rays, pollution and radiation daily. We age in a variety of different ways, and so, it’s better to incorporate a cumulative routine to deliver results.